Ever since I started this series I have striven to give you a bunch of theoretical tools that allow you to understand as well as possible the mechanisms behind Western harmony, always trying to avoid complicating things too much. At least that was my goal, and I hope I've achieved it. But don't worry I'm not saying goodbye just yet, far from that! However, you've probably realized that in the last couple of articles we've started to look at harmonizing in a much more practical way. After having studied added-tone chords last week, today you'll learn how to build some voicings around the famous II-V-I progression. I'll begin with a quick reminder. 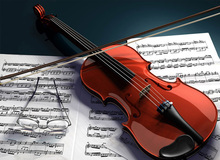 This progression is made up of two consecutive cadences, a half and a perfect cadence, and the degrees have the following functions respectively: sub-dominant substitute, dominant and tonic. To refresh your mind, I invite you to reread articles 5, 7 and 14 of this series. Now, after this brief reminder let's start digging deeper into today's topic. In the previous articles we started exploring some tools that allow you to get much more interesting results. Let's start by inverting the G chord and get a pedal in the low end and a diatonic progression between the two upper notes of the D minor and G chords. To finish the progression we double the tonic of the C chord to emphasize even more the progression and the tonic chord. On the other hand, in this progression the perfect cadence effect isn't too accentuated, but it could be. To achieve that you could open the dominant chord downwards by moving the G an octave lower. And you can do the same with the C, root of the tonic chord, so that it's a fifth below the G and you get a nice cadence. 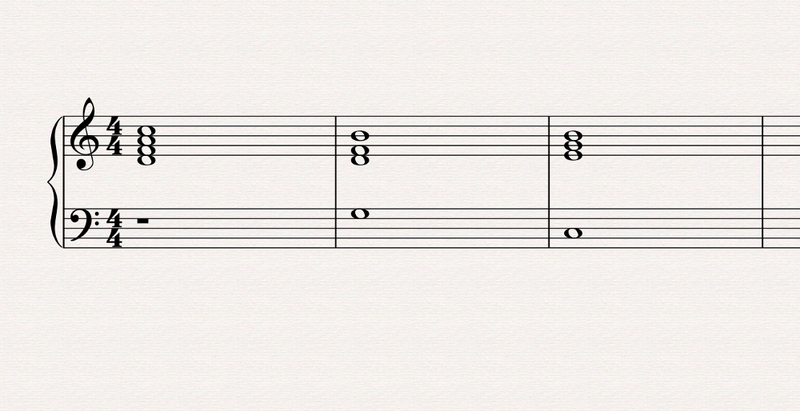 And to emphasize even more the effect, you can introduce a tritone in the dominant chord by adding the F note. This is what you can get with pretty basic chords and adding the seventh to the dominant chord. Not that impressive, is it? Don't worry you have other tools at your disposal! Here they are in their closed root position. Now, here's an harmonization I did. I won't tell you what I did but rather let you discover the modifications yourselves. If you paid attention well enough, you probably realized that the fifth of the dominant and tonic chords disappeared in the last example. Why? I'll tell you next week!